The end of this month will see one of the most glittering induction events in the history of Baseball Hall of Fame. The ceremony is set to include an iconic owner, a couple of the most prolific hitters ever in the game, a path breaking umpire, and many all time greats. 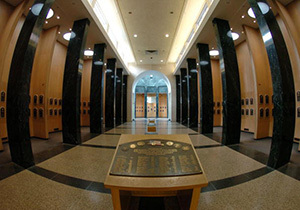 The Baseball museum, hoping to attract thousands of fans with the star-studded display, just lacks one thing: all the luminaries are dead. As a form of rebuke to the present steroid-tainted players, the writers didn't elect candidates from this year. This will be the first ceremony since 1960 when no living player was inducted into the Hall of Fame. The three stars being inducted had been elected by a committee that is reconsidering players from the time before the 1947 integration. This left officials of the Hall to think how it would be possible to get more attendance when only dead stars were inducted? They decided to go for more dead souls. 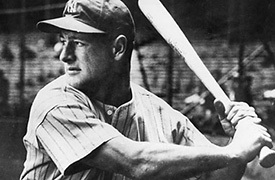 Apart from the three inductees, this event will also pay tribute to twelve Hall of Famers who didn't get inducted into the Hall because of World War II. The three new inductees are Hank O'Day, former umpire; Jacob Ruppert, former owner of New York Yankees; and Deacon White, former third baseman/catcher, who retired in 1890. 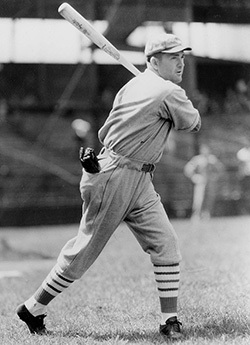 The other members include Rogers Hornsby, Lou Gehrig, and the 10-member squad of 1945. The president of the Hall of Fame, Jeff Idelson, said that the ceremony is bound to have a different flavor as fans usually come for celebrating living inductees. Even Tom Cheek, the former announcer of Toronto Blue Jays, is being inducted into the broadcasters' wing posthumously. Paul Hagen, who is longtime columnist for Philadelphia, is the only living soul to be given an award at the upcoming ceremony this year. It is not unusual for members to be inducted posthumously. Already a huge 1/3rd of the total inductees were inducted after their demise. But this year presents a unique challenge in the form of an all-ghost class. The first is finding the right people to give speeches. Generally, the Hall asks next living kin to give the speech, but seeing that all three inductees died before 1940 that will be a tough task. White's great grandson, O'Day's great grandnephew, and Ruppert's great grandniece have been selected after careful checking of prospective speakers. The 12 honorees' plaques will be read by present Hall of Famers. Last year, a crowd of 20,000 came to greet new inductees Ron Santo and Barry Larkin, but this year, the ceremony is hoping for a best crowd turnout of about 10,000 fans. Fans have usually turned out in large numbers especially for stars from their own hometowns. Distant fans aren't likely to show up due to a variety of reasons. The expected crowd turnout is also making the merchants cautious about this season, which is usually the best time of business for them. Living Hall of Famers, however, is coming out in strong numbers to the event, despite the lack of any living inductees.